Moroccan Uromastyx (Uromastyx acanthinurus) are real sun worshippers, they spend a large proportion of their day basking in full desert sun. They originate from Morocco, Libya, Niger and Sudan establishing themselves in hilly, rocky areas with good shelter and accessible vegetation. Like many reptiles, these lizards’ colours change according to the temperature; during cool weather they appear dull and dark but the colours become lighter in warm weather, especially when basking; the darker pigmentation allows their skin to absorb sunlight more effectively. Uromastyx make great pets, they are inquisitive and good natured. They grow up to 40cm long and develop lovely colours, from yellows to reds although juveniles start off grey. Uromastyx are herbivorous, making them a great choice if you aren’t keen on offering live insects. Uromastyx are active lizards so require plenty of room. A 48x24x24″ vivarium would be suitable for an adult. Juveniles can be housed in a 36x18x18″ vivarium. They love to bask on rocks, make sure the rocks are very secure and placed on the floor of the vivarium not the substrate (they will dig under them!). There are many hides available that are suitable. It is good to fill one of the hides with the substrate so they have to dig their way in. Uromastyx require a temperature range of up to 50°C (122°F) in the basking area, down to approximately 30°C (86°F) in the cooler area. This will provide the lizard with a temperature gradient across the vivarium, allowing them to choose the most suitable temperature at all times. At night the temperature can drop as low as 16°C (61°F). The day time temperatures can be achieved by using a halogen basking light (the heat is more focused than a regular light) fitted to a dimming thermostat. Using fans to increase ventilation can be a good idea as this helps keep the rest of the vivarium cooler. Uromastyx require UV light to help use calcium from their diet and prevent Metabolic Bone Disease. We recommend using a T5 lamp with 10-12% UVB. UV lights should be mounted directly above the lizards. A simple 12-14 hour light cycle is ideal for a Uromastyx, although if you intend to breed them you will need to hibernate them. Contact us for more information. We only offer water once a week as it is not usually taken and increased humidity can cause a few issues. They receive most of their water from their food. Uromastyx are primarily herbivorous. Lollo rossa, endive, radicchio, corn salad(lambs lettuce), rocket, finely shredded carrot, water cress, dandelion, clover, plantain, convolvulous, polygonum(russian vine), chick weed, alpine plants(adjuga), sprouted seeds, alfalfa, mung beans, radish, chick peas, lentils, soya, wheat, dry seeds, parrakeet mix, chopped hay, hibiscus flowers, gazania flowers. DO NOT feed spinach, cabbage, iceburg lettuce and buttercup. Try to offer a variety to keep a balanced diet. Regular use of vitamin/mineral supplements is very important to prevent problems such as Metabolic Bone Disease, which is a calcium deficiency. This is a serious condition and can occur very rapidly in young dragons that are growing quickly. Latest recommendations suggest the use of a multivitamin and mineral supplement (e.g. Nutrobal) twice weekly and a calcium supplement (e.g. Calci Dust) daily. The supplements should be dusted onto their salad. Uromastyx will also take a few insects, morio worms being the preferred although not strictly required. Uromastyx have great characters and are fairly easy to care for. Their bright colours as adults make them very attractive. They are perfect if you are not fond of using livefoods! If you love lizards but not the live insects then these are the lizards you have been looking for! 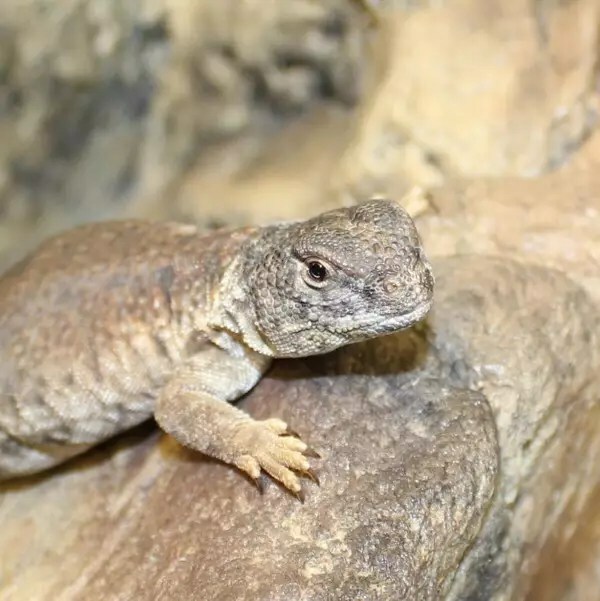 Click here to see the uromastyx we current have available.